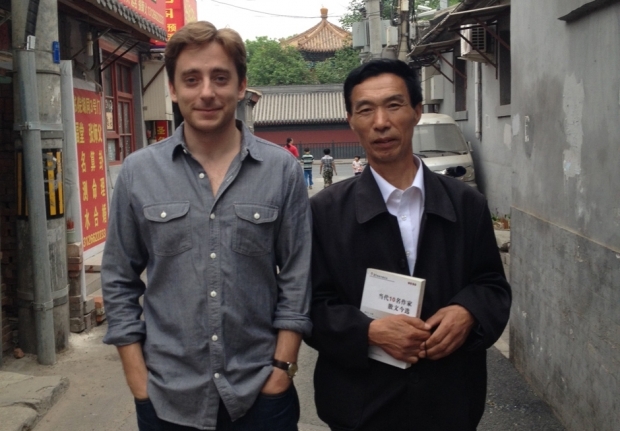 Evan Osnos, left, pictured with friend Qi Xiangfu. In a summer when many reporters and their families are departing Beijing (including many people who have appeared on this podcast), perhaps the biggest loss to the foreign correspondents’ pool in the Chinese capital is the departure of Evan Osnos, who has been in China since 2005 and writing for The New Yorker since 2008. In today’s show, Kaiser and Jeremy caught Evan before he leaves for Washington next month to talk about the big kerfuffle at New York University, how the Snowden affair may or may not affect Sino-American diplomacy, his forthcoming book, and about his time in China. We’re sure that once you listen to this you’ll understand why Evan will be so sorely missed.